The directions stated “located 3.5 miles west of the 7-Eleven”. With this precise guidance, I still could not find the course. I must confess the first time I tried to locate Steamboat Golf Club, it was February and the entrance sign was covered with an eight foot snow drift. Fast forward four months. The snow is gone, the sun is shining and I’m traveling east on Highway 40 from Craig to Steamboat Springs – I still can’t find the entrance. So when I finally reach the 7-Eleven, I make a U-turn and drive 3.5 miles going west and arrive at the entrance on the left side of the road. I will not make fun of those directions again. 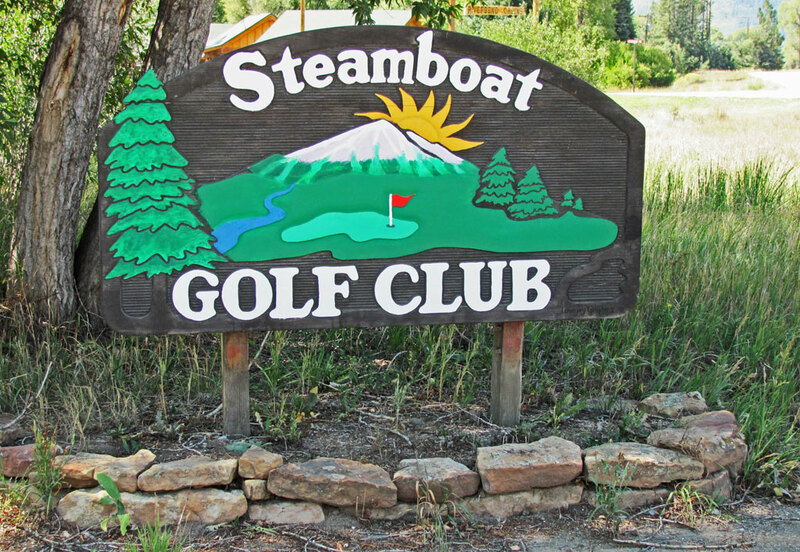 The challenge of finding Steamboat Golf Club is the sign is three feet high and can only be seen if you are traveling west on Highway 40. Maybe the town wants to keep this gem a secret from the golfing public – sorry guys, your course is too good not to be shared. Ed and I were about to tee off when Danny runs up and asks if he can join us. He promptly tells us he will probably slow us down. We’re thinking, “how bad is this guy?”, until he rips his drive straight down the middle and lands just short of the green on the opening 331 yard first hole. What he meant was that he is so good he would have to wait for the green ahead to clear (thus slowing us down) because he would probably drive the green on many of the short par 4 holes! 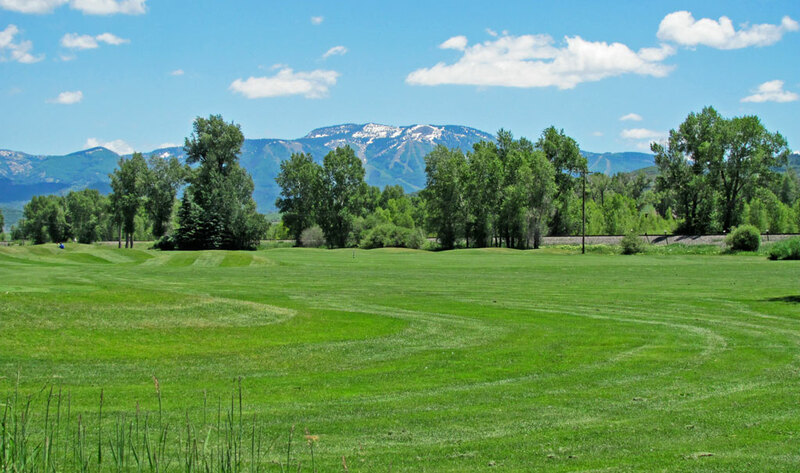 The first hole opens with a great view of the Steamboat ski mountain. If there is still snow on the hill – it’s picture time. 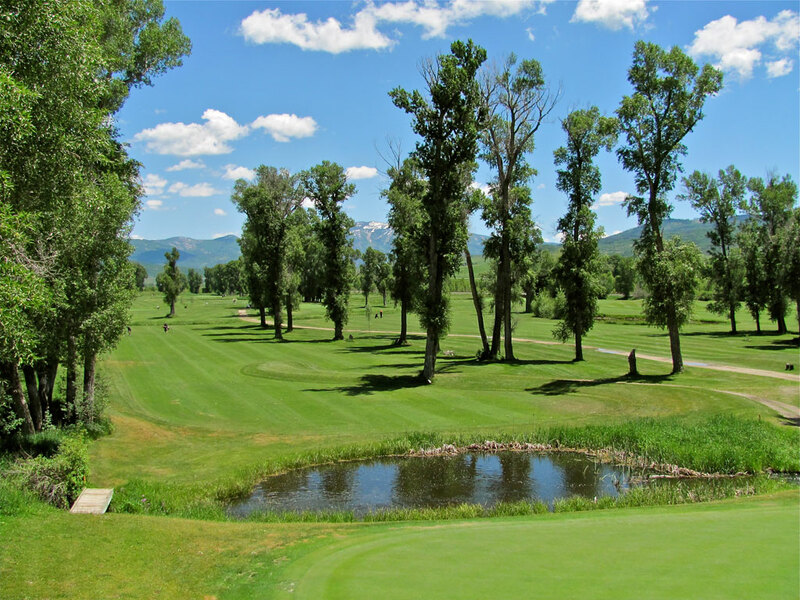 The par 3 third hole is the easiest hole on the course, and you have a great view of the Yampa River which was running high and fast today. Hole #5 is a great dogleg left par 4. Put the driver away on this hole as accuracy is most important. You need 170 yards to clear the hazard but being too aggressive can lead to a drive that carries through the fairway. Out of bounds both left and right, and water fronting the green add to the difficulty of this hole. 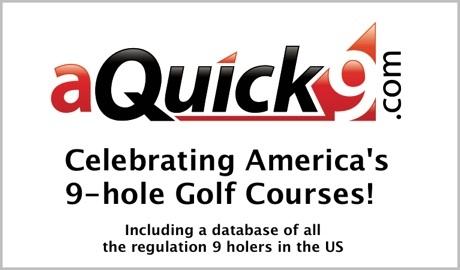 There are six holes on the course in which you need to navigate fairway hazards including the finishing ninth hole. 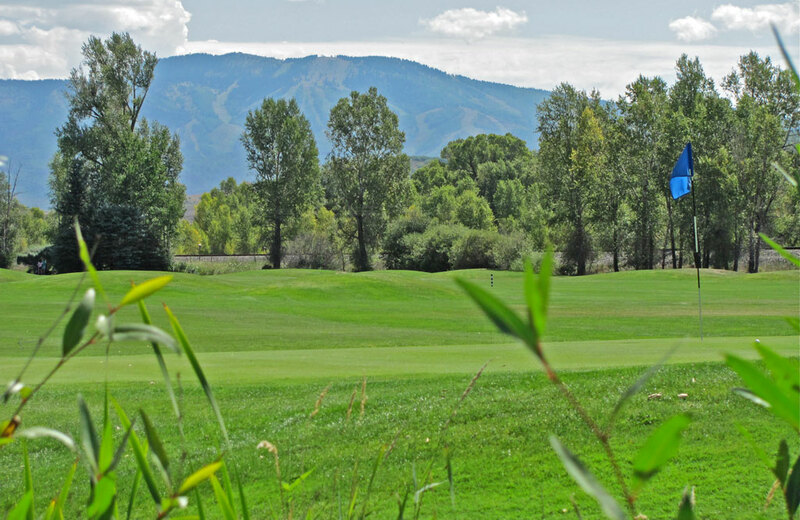 Birdie: This challenging nine is worth the drive from Denver and a must play if you are in the northwest part of the state. We needed a beer after our round and were directed to The Boathouse. Located on the edge of the Yampa River, we watched from the outside deck as groups rafted down the raging river (courtesy of the spring snow runoff); gazed in awe as the U.S. Ski Team members hurled themselves off the Howelsen Ski Jumping Hill; and heard shrieks of delight as sledders streaked down “The Howler” Alpine Slide. Ed and I felt very comfortable sitting back with beer in hand watching all these crazy people. For the biking enthusiast, you can choose between cruising the seven mile Yampa River Core Trail or grab your mountain bike and tackle the Steamboat Ski Hill (yes, Ed and I are still on the deck drinking beer). In this sports paradise there is something for everyone: horse rides, cattle drives, tubing, hiking, fly fishing and sitting on a deck drinking beer. Your stay is not complete without a visit to the downtown area which is the heart of this ranching and skiing community. Ahhh! Nothing like a cold Colorado microbrew after an awesome round of golf! And Danny? We couldn’t keep up with him as he disappeared into the distance with his score of 29 or whatever!